I took this picture at the old Planet Granite Climbing Gym in Santa Clara. 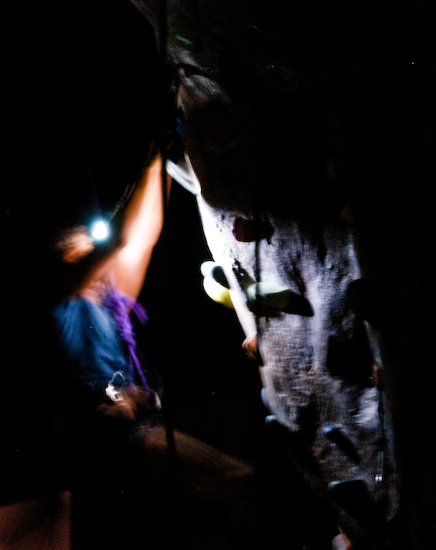 Before they moved locations to the newer, larger, and better location in Sunnyvale, they allowed night climbing (with the lights off) around Halloween each year. (The new location isn't allowed to do that due to liability reasons.) I ascended about 15-20 feet and braced against a few holds for this shot.